In a third attempt to elect an Associated Students Executive Vice President of Statewide Affairs, Rachel Ng is the sole remaining candidate running to fill the vacant position. Initially, two students declared candidacy in the special election: Ng and fourth-year political science and English double major Richard Zierer. However, Zierer dropped out of the race on Wednesday morning, leaving Ng unopposed. The last student to hold the External Vice President for Statewide Affairs (EVPSA) position was Kristin Hsu, who focused much of her term on decreasing tuition during a time when the University of California Regents were threatening a tuition increase due to lack of state funding. If elected, Ng, a fourth-year global studies and biological sciences double major, plans to go in a different direction than Hsu. Ng hopes to center her agenda around statewide affairs as it concerns sexual assault policy, common sense gun control and reproductive justice. “I’m more interested in increasing the amount of resources we have on campus,” Ng said. “I really would be pushing for increased access to sexual assault resources,” Ng added. She also plans to advocate for stricter gun control policies, and was one of the organizers for Santa Barbara’s March for Our Lives. Ng previously lobbied for Senate Bill 24, formerly Senate Bill 320, which would require all public university campuses, including UC Santa Barbara, to provide access to medication abortion services to students. “We luckily now have a governor who’s willing to pass it, so I’ve been really advocating for that,” Ng said. In terms of the EVPSA’s job to represent the student body on larger platforms, Ng believes that UCSB deserves a stronger voice in both the United States Student Association (USSA) and the University of California Student Association (UCSA). If elected, Ng plans to attend every A.S. Senate meeting to inform senators of relevant legislation. Ng started out her first year at UCSB involved in the Residential Housing Association as a Project Care Director. At the beginning of her third year, she joined the Associated Students (A.S.) Human Rights Board (HRB), becoming the chair a quarter after she joined. Ng said that through her position in the HRB, she’s collaborated with the EVPSA office on multiple projects. Ng plans to utilize social media and class announcements in order to campaign, and believes that the lack of voter turnout in the previous EVPSA elections was due to voter burnout, as students were more focused on the national midterm elections. The 16 percent voter threshold was not met in the Fall Quarter special election and the sole candidate running was not voted in. Winter special election voting opens Thursday at 8 a.m. on G.O.L.D. At least eight percent of the student body must vote for the election to be valid. If the election meets the eight percent threshold, Ng will only serve for approximately three months until the winner of the Spring Quarter 2019 election is sworn in. 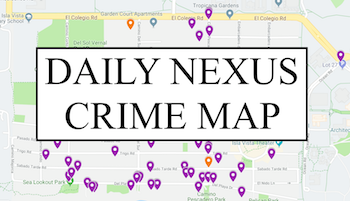 A version of the article appeared on p.3 of the Jan. 24, 2019 print edition of the Daily Nexus. 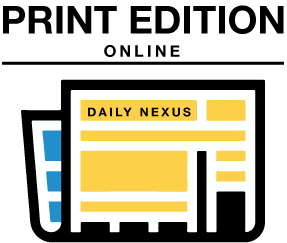 Simren Verma is the university news editor at the Daily Nexus and can be reached at news@dailynexus.com or simren@dailynexus.com. What is the point of AS? Does anyone remotely care about any of this?